You’ve probably heard of the term ‘capsule wardrobe’ by now. It’s a phrase used by fashion gurus, designers and celebrities alike – and is based on the idea that ‘less is more’ when it comes to personal style. A capsule wardrobe usually consists of classic pieces of clothing that can be worn again and again, and work wonderfully in combination with one another. 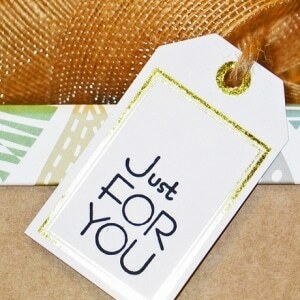 So, why not apply this concept to your jewellery – as well as your clothing? 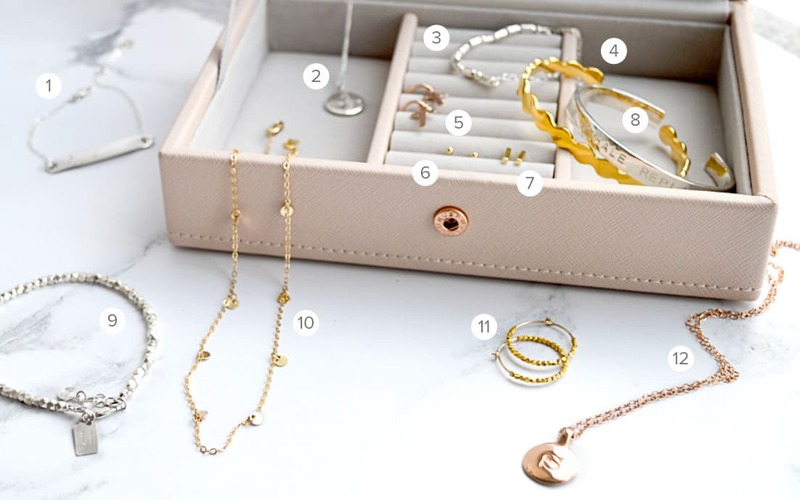 We’ve put together a jewellery box essentials guide, which contains everything you need to build a capsule jewellery collection. These are the items you won’t leave home without; high-quality, stylish and incredibly ‘wearable’ pieces that pair perfectly with everyday outfits, and can be combined together to create a more striking evening look. Our personalised silver identity bracelet is a wonderful everyday piece, and can be made extra-special by adding your own personalised message engraved on the front and the back of the tag. You can pick a name, a date, or even an inspirational quote or message to add a subtle dose of inspiration to your everyday outfits. This silver monogram necklace is perfect for layering with other necklaces in our jewellery box essentials collection – particularly the gold sequin choker – to give different levels of detail to your look. We love how the charms on this necklace can be personalised with the initials of a loved one – to not only create an extra-special everyday piece, but also a unique gift for someone you love. Our beautiful personalised morse code bracelet is simple but stunning – allowing you to wear a secret message, mantra, or phrase on your wrist, while still remaining understated and stylish. This gorgeous, polished contemporary bangle is available in gold, silver or rose gold. Perfect as a standalone piece, or when worn as a mixed-metal trio. A very ‘wearable’ bracelet, with a contemporary scalloped design, it’s a perfect everyday piece. While statement earrings are great for adding detail to everyday outfits, sometimes a more subtle style of earring can go a long way. Our beautiful silver cross earrings feature a delicate charm, hanging from a sterling silver hoop. Perfect for everyday wear, the small charm has the simplicity of a stud, but the movement of a drop earring. No jewellery box is complete without a set of high-quality stud earrings. Our small gold ball studs are beautifully understated, made from 9ct gold and fastened with a butterfly clasp. Perfect for everyday wear. If you want to add some variety to your everyday earrings, or if you have your earlobes pierced multiple times – then our bar stud earrings are great for mixing in with regular studs. Available in gold, silver and rose gold, so it’s easy to take advantage of the mixed metals trend! This silver engraved bracelet is absolutely perfect for everyday wear – featuring the positive mantra ‘inhale, exhale, repeat’ engraved on the side. Not only is this simple bracelet versatile and stylish – it gives you a gentle reminder to be mindful; a perfect mantra to live by. A firm favourite among our customers – this personalised silver nugget bracelet is an absolute jewellery box essential. The geometric silver nuggets catch the light, and give the bracelet an organic feel. Plus, it can be personalised with a heartfelt message such as a date or initial on the silver tag to make this piece extra-special. This delicate gold choker is a beautifully versatile piece, with a fine chain adorned with golden sequins to give some gentle sparkle to your everyday outfits. It’s subtle style makes it easy to wear, and is a great piece for layering with other, longer necklaces if you want to achieve a more dramatic look. These silver or gold earrings pair perfectly with our personalised silver nugget bracelet, and should be a staple in any jewellery box. Available in sterling silver or plated with gold, they are the perfect earrings to complement both formal and casual outfits, adding a touch of elegance and class. 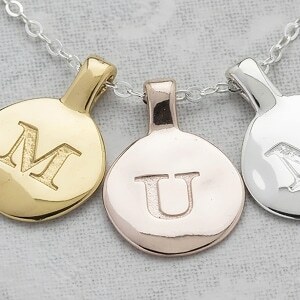 Engraved with your choice of initial, our personalised rose gold initial necklace is a great everyday piece. Plus, you can choose from three different shapes; a circle, an oval, or a rectangle, each with natural-looking organic edges and a highly polished finish to add delicate detail to a simple but stylish piece.